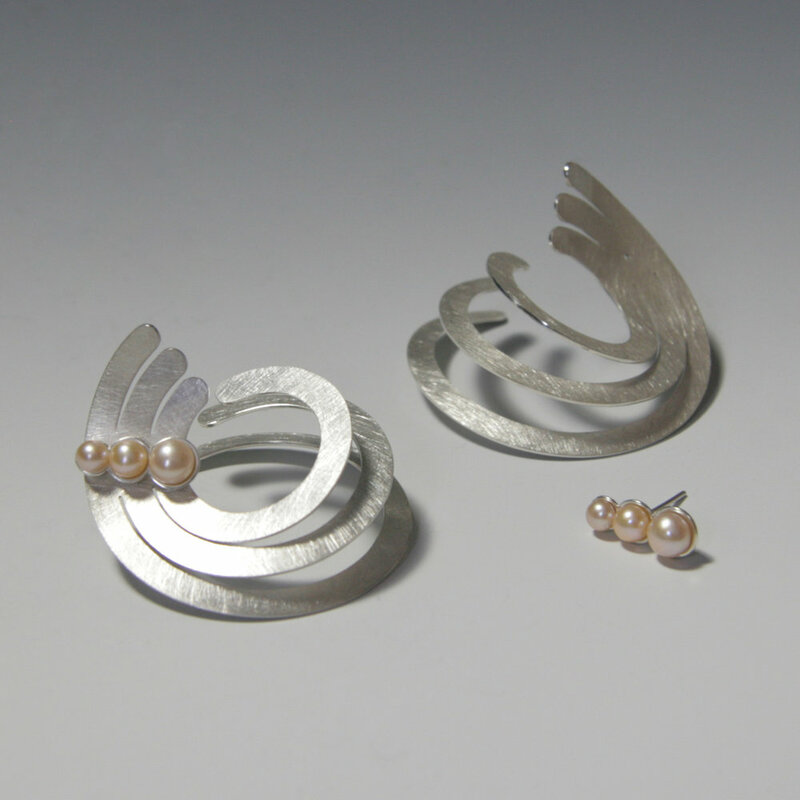 Commissioning a piece of jewellery is an exciting process that you are involved in from the beginning to the end. I am happy to design using my own style or to design specifically to your ideas. I can re-design an old piece and turn it into something new. Getting a piece made is great if you can never find exactly what you want and it also makes a perfect personalised gift for a loved one. step 1: Get in touch via the CONTACT form on this site to arrange a phone call or a meeting at my studio in London. step 2: Bring as much information to the meeting as possible. For example: if the commission is a gift, bring a picture of the person it is for. You could bring images or actual examples of the kind of jewellery you like and you might have an idea of the type of materials and stones you prefer. You could think of a budget you'd like to work within. step 3: You receive up to 3 drawings with a quote for each and we discuss these in a second meeting. They can be adapted to perfectly suit your requirements. step 4: If you decide to proceed, we arrange a delivery date (usually 6-8 weeks, unless otherwise agreed) and you pay a 50% deposit. Step 5: The final instalment is paid upon delivery and you receive your hallmarked piece, beautifully packaged, ready to enjoy! 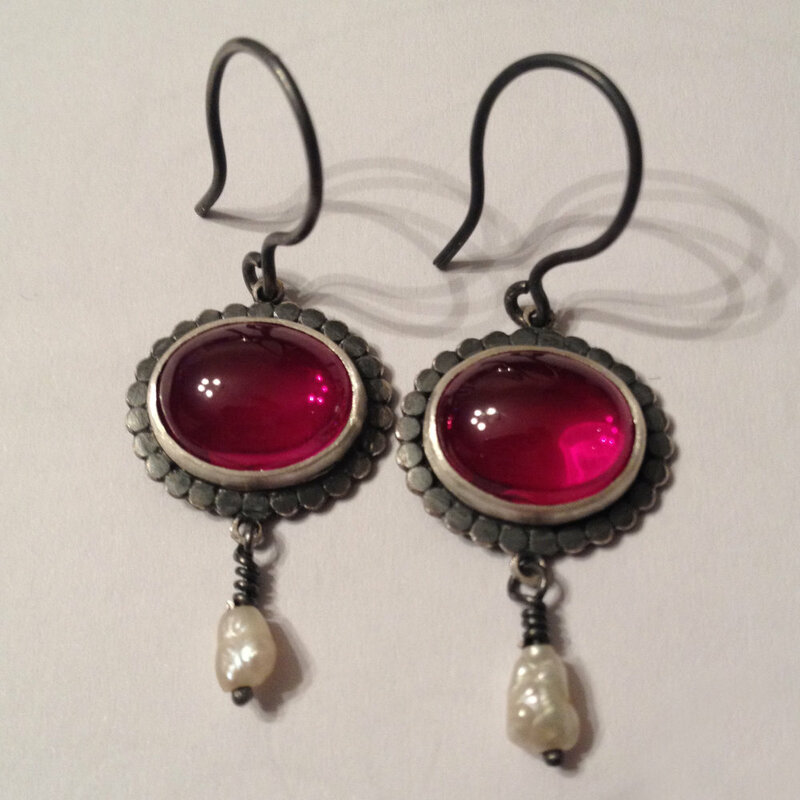 Silver and pearl earrings. These earrings can be worn in 4 different ways.